1. How long will it take for my claim to be approved? It can take anywhere from one month to 2 ½ years for a Social Security Disability claim to be approved. The wait times are different for everyone because everyone’s case is different.  Some claims will be approved at the initial level by an adjudicator at Disability Determination Services (Illinois), some proceed all the way to a hearing with an administrative law judge. The current trend is about 6 months between application and reconsideration decision and 19 months between filing the request for hearing (second appeal) and the day of the hearing. Some hearing offices process claims more quickly than others. The Evansville Office of Disability Adjudication and Review (ODAR) handles hearings for most residents of Southern Illinois. Here is a chart showing the average wait time until hearing is held at all Social Security hearing offices. The hiring freeze for administrative agencies like the Social Security Administration has caused longer wait times for my clients. I generally advise all of my clients to make a plan for at least 2 1/2 years without income. If you are waiting for your claim to be approved and struggling financially, I have compiled a survival guide with links to the websites for various local public services in Southern Illinois, available here. You can track the status of your Social Security Disability claim online within your mySocialSecurity account portal. Click here for more information. 2. What are my chances of being approved? The “waterfall” chart shows that many cases that were denied at the initial and reconsideration levels are eventually approved at the hearing level. Claimants commonly call me to set up an appointment after the first or second denial. 3. The Social Security Administration found that I’m disabled, so why don’t I qualify for Social Security Disability Insurance benefits? Even if your impairments are severe enough to keep you from working, you will not qualify for Social Security Disability Insurance benefits if you have not earned enough work credits over the course of your working years to be “insured”. Here is a chart prepared by the Social Security Administration that shows the credits needed at different ages. 4. The Social Security Administration found that I’m disabled, so why don’t I qualify for Supplemental Security Income? Even if your impairments are severe enough that you meet Social Security’s definition of disabled, you will not qualify for Supplemental Security Income benefits if your household income or your personal assets exceed the maximum allowable limit. In 2017, the monthly countable income limit was $735 per month for individuals and $1,103 for couples. The resource limit is $2,000.00 for an individual and $3,000.00 for a couple. There are many exceptions. Consult the Social Security Spotlight on Resources for 2017 for more details. 5. Can I file a Social Security disability claim while I am working? Social Security will look at your work history and medical records to determine whether or not you are disabled. If you are earning more than the limit for Substantial Gainful Activity (SGA) your claim will be denied, even if you have a documented severe psychological or medical condition. Note that the income limits are higher for blind claimants. If you are working part time and earning under the SGA limit but you are capable of working more and earning more than the SGA limit Social Security will probably deny your claim. 6. How much money can I earn and still be eligible for Social Security Disability Insurance or Supplemental Security Income benefits? In 2018, you can earn up to approximately $1,000 per month and technically still be eligible for Social Security Disability IF that is the most you are capable of earning. For Supplemental Security Income, your earnings will reduce your monthly benefit. Many factors are taken into account. Here are some examples. 7. I can’t do my old job, but I could do other jobs that don’t pay very much, will I still qualify for Social Security Disability benefits? Maybe. It depends on your age, education, past jobs, and skills you learned at your last job. The Social Security Administration regulations include special Medical-Vocational Guidelines that help older individuals whose old jobs were labor-intensive. 8. I’m recovering from a surgery, but will probably be able to work again in a few months, can I get a temporary Social Security disability benefit? If you live in Illinois, the answer is, “No.” Neither the Social Security Administration nor the state of Illinois offers any kind of temporary disability insurance benefit. Claimants often have short-term disability insurance through their employers or a private insurance company. Claimants in some states, Puerto Rico, and the railroad industry can receive temporary benefits. 9. I filed a claim in the past but did not appeal the denial, if I file a new claim, what impact will that have on my case? In most instances, a claimant will start over and file a new claim. The first entitlement month will be 12 months before the filing month or the 6th month after the alleged onset date, whichever is later. In some cases, an administrative law judge decides that the prior claim should be reopened, and the claimant can be awarded past due benefits based on the prior application. 10. Will my children and spouse get benefits if I am eligible for Social Security Disability Insurance benefits? Maybe. Dependent children, elderly spouses, and spouses who are caring for dependent minor children can receive a benefit based on the earnings record of the wage-earner. Here is a link to a blog I wrote in September 2017 about the different types of family benefits, and here are links to Social Security pages with more information about benefits for children and spouses. The Law Office of Joni Beth Bailey helps claimants throughout Southern Illinois with Social Security Disability Insurance and Supplemental Security Income Claims.